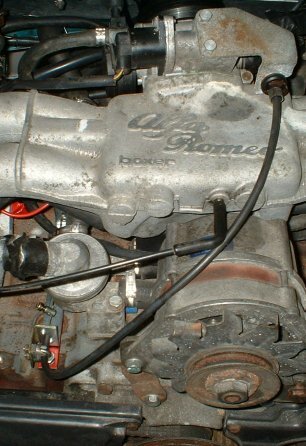 From right top to left bottem the Alfa cable runs to the bracket. There the cable is connected to the beetle cable. The outer beetle cable was to short. In it’s stock configuration the beetle cable runs to the back of the cooling shroud. 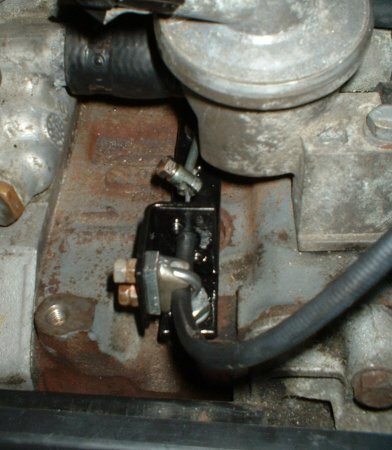 Then the cable runs through a pipe that leads it through te cooling shroud to the carburetter. I used that piece of pipe to lengthen the beetle outer cable. Now it reaches the back of the bracket. On the front of the bracket I clamped the Alfa cable to the bracket with a clamp that’s normally used for (thick) steel cables. There it’s holding the outer cable in place. 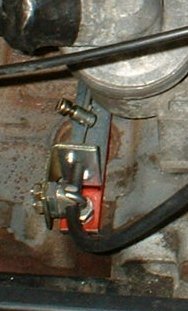 The two inner cables are clamped together with the thing you normally attach the beetle cable to the (beetle) carburetter. I just had to widen the hole so the alfa and the (thick end of the) beetle cable both fitted. When I tested it, I noticed that the throttle doesn’t go entirely back. Sometimes it still needs to go a few millimeters back to get to complete closed throttle. Apperently the spring in the throttle body is not as strong as the spring of a beetle carburatter. 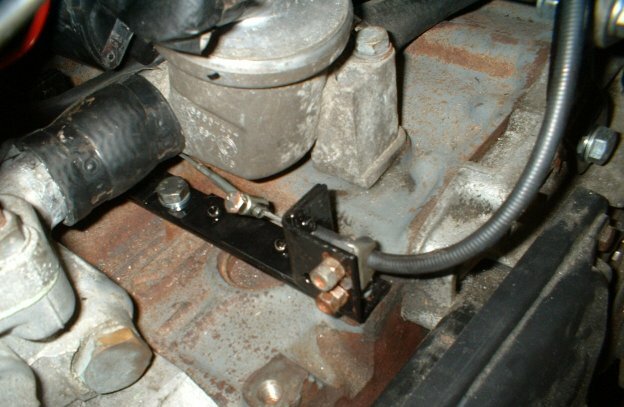 I’m going to try to solve this by eliminating the spring in the gas pedal. In the pedal there’s a spring that pushes the pedal forward. The throttle body spring has to work against that spring, so removing it might help. 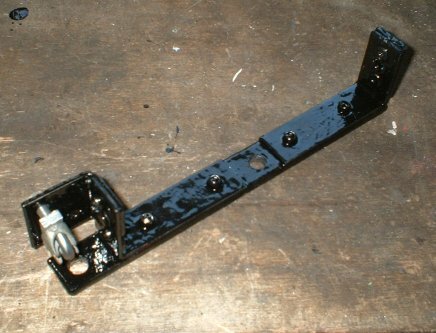 And I want to paint the bracket. edit 05-07-2006: I disabled the gas pedal spring, and now the throttle returns completely! So it seems to work. 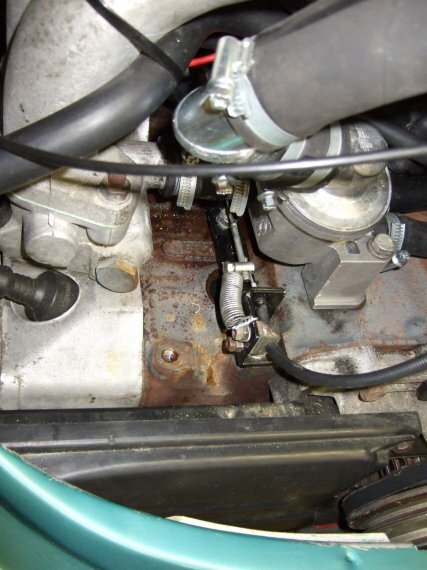 Normally the bracket for the powered steering pump is in this place, but I can’t use that on my beetle. This spring comes from a standard beetle carburettor. Now the throttle returns properly, but the throttle is now a bit harder to push. That takes some getting used to, but it’s not too hard.